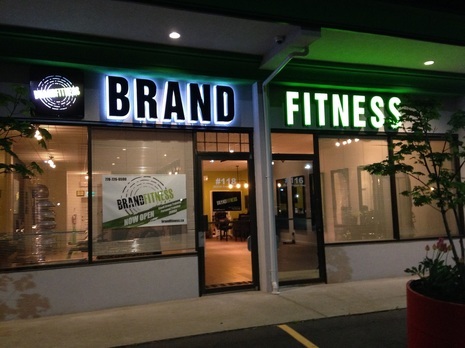 First, we would like to WELCOME YOU to Brand Fitness!! We are so proud to have a fabulous community of wonderful members and I’m so excited to have you join us! All sessions are Pre-Booked. We are open by appointment only. Space is limited in the BRANDFit50 Small Groups, so be mindful to book, or cancel your sessions in a timely manner. Please see the links at the bottom to Pre-Book your sessions. There is a 4-hour window to book or cancel sessions. If you cannot make a session, please Un-book your session to give someone else a chance, as space is limited. (Missed sessions, or late cancels will forfeit 1 session). Bring a towel and water bottle to each session. Also, wear indoor running shoes, or a cross training type of runner. Wear comfortable stretch type clothing (no jeans) … nothing fancy, just for comfort and sweating in! Plan to work while you’re here, at your own pace of course. Everybody has a different level of fitness, some injuries, or limitations, which is fine. Work at your own ability and fitness level. We are a supportive community to help everyone get better and stronger at their own pace. Of course, we want you to get great results, which means we need quality effort from you, but also at an appropriate level that is right for you. As trainers, we are here to motivate you, to work harder than you might want to, always working within any limitations of course. You’ll start to notice exercises getting easier to do, and a progression will evolve to continually improve your fitness. Please communicate with us! Tell us if something hurts or doesn’t feel quite right. If your knee hurts don’t be tough and try to push through the pain, please, please tell us! We want to stay clear of unnecessary injuries. You will probably be sore at first. Our goal is not to make you sore every time, but soreness in the first few weeks is common and should be expected. However, soreness should be in your muscles not in your joints. If your joints are hurting after exercise, please communicate that. We expect your leg muscles might be sore, we don’t want your knee or hip joint to be sore. Please drink water: before, during, and after your sessions. Eat a reasonable time before your session. Coming in on a full stomach might not be a good idea, but not having eaten for 3 hours or more could mean that your workout will take more effort, since you will run out of fuel. Not eating hours before, can also cause dizziness and low blood sugar. Remember the place is yours to use as you like, come early to start your warmup, and stay after to stretch. Ask for help as needed and try to get in the habit of staying for 45 minutes, which gives time for a proper warmup and stretching after. Start thinking of exercise as the best thing you do for your body, and your physical well-being. It should restore, replenish, and revitalize you, even if it exhausts you. Make this a priority for your physical health. Always Pre-Book your sessions. There are a few ways to book. 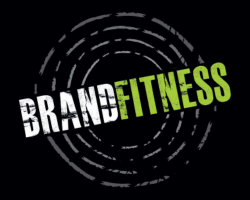 JOIN OUR Private Facebook COMMUNITY GROUP Search Facebook for our “Brand Fitness Community”. Send me a request to join! This is a closed group, just for the eyes of our community members, and you are one of them! So excited you're joining our Community. To your Health, and being Fit and Fabulous!